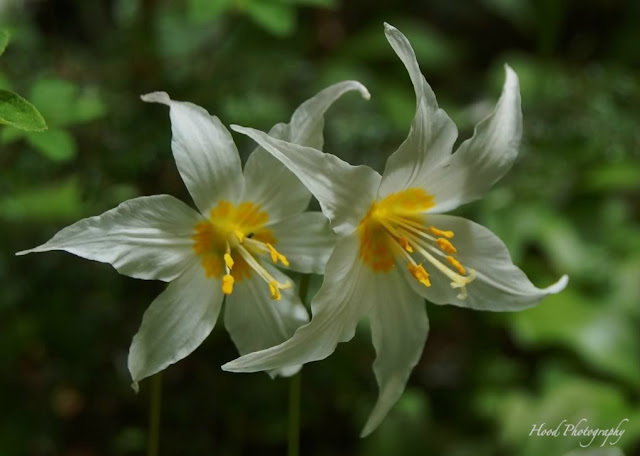 When hiking this weekend, at one of the forks in the trail there was a huge patch of these pretty Avalanche Lillies. The sun was hitting them just right and they practically glowed! it always amazes me how 'unreal' flowers can look - these definitely are glowing! How pretty, and to see them growing wild! Lovely flowers! Yellow on white is a great composition. They are beautiful and look very delicate too!